When David Freid turned his hobbies of travel and photography into a full-fledged career he knew he had to define what MEL Films was. “The thing that makes you you is the most important thing you bring to the table,” Freid told the TVAs. Moreover, everything is about the story. Story first. With these lessons in mind, we caught up with Freid to talk advice for young filmmakers, and why the logistics of luggage is so tricky. 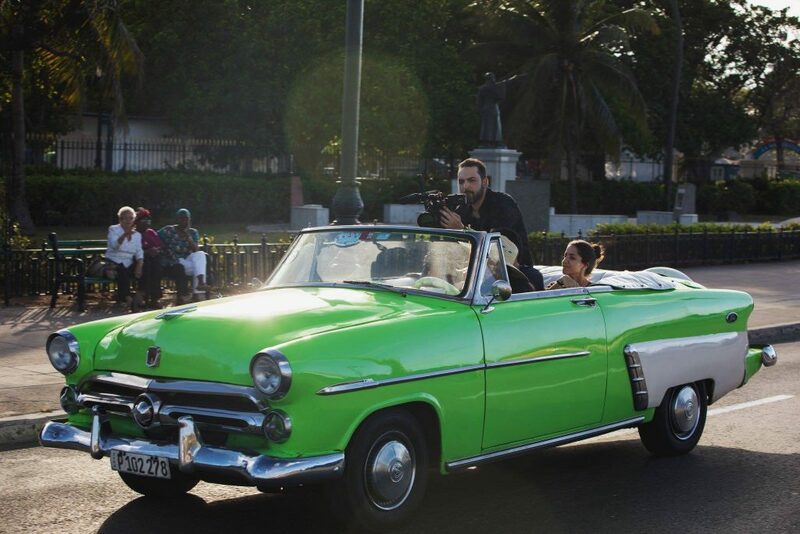 How did you turn travel filmmaking into a career? David Freid: I think the career part was a side effect of my love for travel. For years, my hobbies were travel and photography. It turns out, by some glitch in the Matrix, people will pay me for those things—and now I need new hobbies. I took a lot of video while traveling, and every now and then, I cut it together into something like Peruvian Pop. This was just a home video for me. A way to share my trip (and obvious pop-lock potential) with friends and family. But these little travel films became proof that I could handle working on travel-based programming, like the first run of the video-ized version of the popular New York Times travel series, 36 Hours. This was some bucket list-level work for me, but it didn’t allow for much creative involvement in the process. After a couple of years hustling for big brands in New York, I was offered the opportunity to build what would become MEL Films, for a new magazine startup in LA. I took the gamble and, by force of will, this became a three-year, travel-heavy work experience. But it wasn’t ever just about the travel—it was story first. The backdrop of a character plays a role like a color on a tapestry of a story, but I couldn’t allow the location to become the story. That’s for other, well-established travel brands to do. We needed to stand out from the big dogs in NYC and LA, and for that, we looked around the world for the stories they weren’t telling. What unique challenges does travel filmmaking present? DF: Whenever we travel somewhere new, we’ve only got a small amount of time to get a feel for the location. We’ve got to figure out a unique way to capture the look and, more importantly, the vibe of our new environment, in short time. This takes a combination of fresh, enthusiastic eyes, and lots of practice. Also, the luggage. We were, at most, 2 or 3 people in the field with way too much camera gear. In a lot of the world, they don’t make cars as big as they do here. And getting through security and baggage claim can become an endurance sport. We were on the road about half of the year. So whatever hotel we stayed at became as much our home as our actual home. And we stayed at a lot of hotels, often for only one or two nights at a time before moving to the next location. The logistics of travel—packing, unpacking, checking in, checking out, driving, flying, and doing it all again—mixed with the need to capture as much good material as possible in the time you have can be exhausting. And the people you travel with have to be good people. I was fortunate in that regard. Do you pitch destinations to the brands you work with? Or do they come to you with a location in mind? DF: The work we did at MEL Films were always story-first. The location was secondary. Then, in order to save money, we looked for other stories near whatever location our approved story took place. We’d often film three or four films on the same trip. That said, of course there were places we wanted to travel to. So, we’d look for good stories wherever we felt inspired to visit. What is some gear you can’t live without? DF: I’m not actually a trained cinematographer. Everything I know about gear came from trial and error, and I think one of the most important things I’ve learned is that you can make something beautiful with almost any camera equipment. So what I have on me at the moment is the gear I can’t live without. I’ve been doing a lot on my iPhone lately. 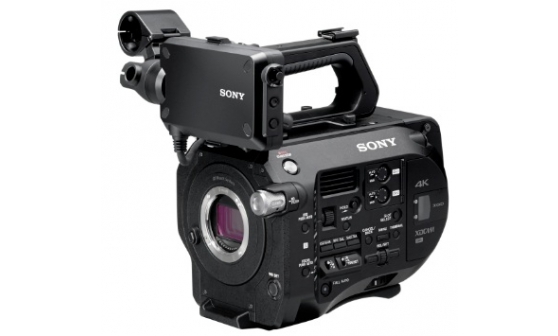 In the field as MEL Films, we carried two Sony FS7 bodies with Canon L-series lenses. 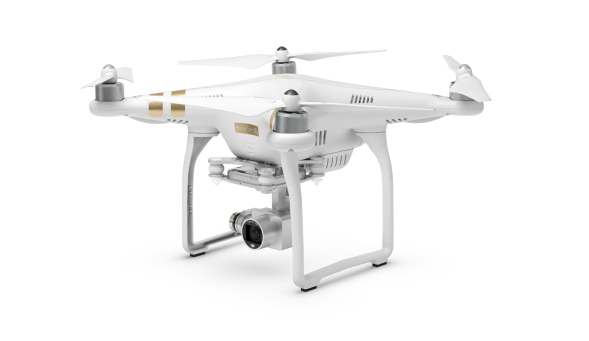 We had a DJI Phantom drone, a GoPro, and a 5D most of the time as well. If I had to pick one item from the kit I couldn’t live without, I’d say the Canon 50mm 1.4 lens. For the price, portability, and speed, you can’t do much better. And it’s fun figuring out how to film an active documentary sequence without a zoom lens. It’s a discipline I think everyone could benefit from working on. How do you choose your next projects/travel locations? DF: If it’s for work, it’s story first. Always. If I want to continue getting paid for this, I can’t make bad films for the sake of traveling somewhere new. That said, the location is so important to story and character. Where they live shapes a character and their motivations. I definitely weigh the potential unique visual opportunities against the story before deciding to take on a project. Without something good to look at, a great story isn’t necessarily a great film. If it’s for fun, I’ve started looking for new experiences instead of just new destinations. When you work with brands, how do you balance their aesthetic and sensibility with your own? DF: No matter what I shoot in the field, so much of a documentary’s look and feel comes together in post. And, a lot of the time, post is where the brand is most heavily involved. Whenever I’m working with a new brand, I consider their history and style, but also have to remember they hired me because they like my work. I always get what they need, and then after that, I get what I want. With any luck, a good amount of what I was personally inspired to shoot makes its way into the final cut. What’s the best way to reach you if someone wants to work with you? What advice would you give to an aspiring travel filmmaker? DF: Trust your gut, because it’s all you have. The thing that makes you you is the most important thing you bring to the table. You have to make decisions constantly, and in any creative endeavor, those decisions don’t have real measurable answers. Learning to trust your instincts is an earned skill that comes with practice, so don’t feel bad if you’re unsure at first. Practice more. Work on it even when you’re not getting paid for it. Always have personal side projects to feed your creative heart. You’ll develop new ideas and techniques on those projects that you can bring into your paid stuff, and that will make you more valuable. When you get into a room with half a dozen creative executives with ideas of their own, you’re going to have to navigate a lot of ideas that will make you question your own creative beliefs. And you’re going to have to compromise something, which is why those personal side projects are important. Just keep trusting your gut. It’s everything. Look for allies, because you can’t make it in this field alone. And don’t follow trends. Everybody does that and you won’t stand out by doing it too. Also, spring for the more expensive luggage. In the long run, it pays for itself.